The Ultimate in Advanced Camera Technology for Lightwave3D featuring Oculus Rift, VR Camera, and Stereo VR Camera Support. Get in on the hottest trend in the tech industry with one simple plugin. 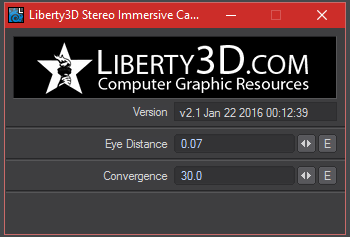 Liberty3D UberCam is a plug-in for LightWave3D that lets you enter the Virtual Reality world (and a ton of other stuff!) by just switching your camera. Four years after we introduced the industry to drop in VR support, additional research, development, testing and customer feedback have made Version 2.6 faster, better, and even easier! Version 2.6 now adds another industry first, our forward-only render option for VR. It also features an enhanced stereoscopic convergence point display, simplified controls, and support for industry standard players out of the box with zero setup. 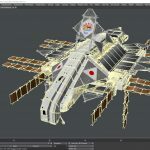 In version 2 we introduced additional specific tools and cameras to the artist who wants to explore Virtual Reality content creation using LightWave3D. 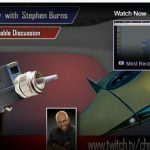 In the four years since then, Virtual Reality has exploded and Liberty3d.com has been working hard to bring you tools and tech that will give you a competitive edge in this new medium. UberCam 2.6 features more cameras and easier to use controls than any other package in the industry, in a simple and easy to use format. You don’t need to be an industry veteran to compete in the VR world with Ubercam. Just plug it in, and let it take care of the rest for you. In Version 2.6, UberCam enhanced its VR and Stereoscopic VR cameras providing seamless renders for VR enthusiasts and professionals using LightWave’s native render engine. No special third party GPU renderers required. In 2.6, we’ve added three new things to help you master the VR scene. The Forward-Only setting increases render speed between 300% and 500%! This lets you only render what you’ll initially see in your scene, drastically cutting down render times. This is fantastic for pre-vis, filler, and reshoots, where you don’t need to see everything, just a few things right in front. The Convergence Preview lets you see where the convergence point is, and change it, so you don’t have to scale your scene up or down to get the right field of view for a VR headset. This is fantastic for large scale scenes or microscopic scenes. Strict and automatic adherence to industry standards, so your videos and images will look fantastic on all VR headsets in all players. No more guesswork–we’ve done the homework for you, and made all the settings adhere to what you’ll find in the real world, for playback. Our development efforts in the areas of Virtual Reality for UberCam continue and we will be providing additional tools and functionality to the package in the very near future. 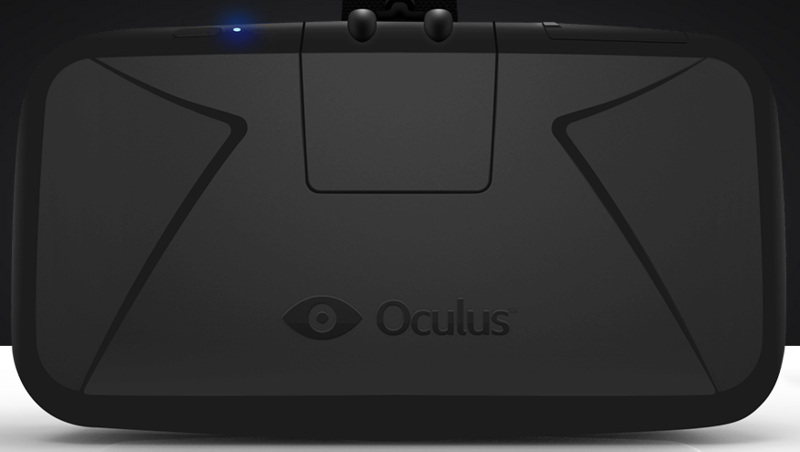 This will include support for additional Virtual Reality Headsets beyond the Oculus Rift (i.e. HTC Vive, FOVE, OSVR, etc.). 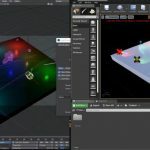 UberCam is named that because it actually provides 20 different cameras, extending Lightwave’s rendering abilities considerably. With version 2.6 you also get these cameras from previous versions of Ubercam with many bug fixes, performance enhancements and the added capabilities we have introduced for VR. Here is a video by Kat showing you just how easy it is to set up the Oculus Rift (DK 1.1 version) inside Virtual Studio Tools. 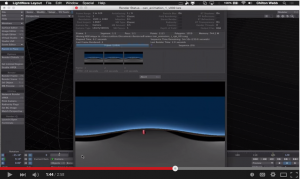 This gives you real-time rotational head tracking from the Oculus Rift. 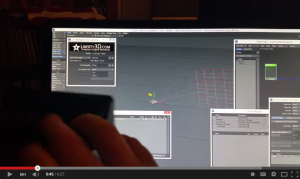 Put on your Rift and look around your LightWave3D scenes in Virtual Reality! Here is another video by Chilton Webb showing our new Immersive Camera in UberCam 2.0.2. This is now known as our VR Camera. You want to pay attention to this one because you can now make cool videos on youtube that are in 360degree spherical format! This format is going to explode (actually it already is) as it works on everyday smartphones, Google CardBoard and youtube and lets you pan around. If you are wondering what the big deal is about Immersive Cameras, you need to look no further than Facebook and Youtube. 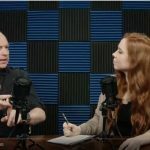 The Immersive VR Video format (reticular 2:1 images) has exploded in just the last 5 months with support for the format having been adopted by Facebook and Google in a big way. We go beyond monoscopic rendering however for 360 degree spherical rendering with the introduction of the new Immersive Stereo Camera (introduced in 2.0.2) which now provides for seamless rendering of stereoscopic scenes in version 2.6. Also introduced for the Immersive Stereoscopic Camera is a Convergence Point function that is fully equipped with envelope control. 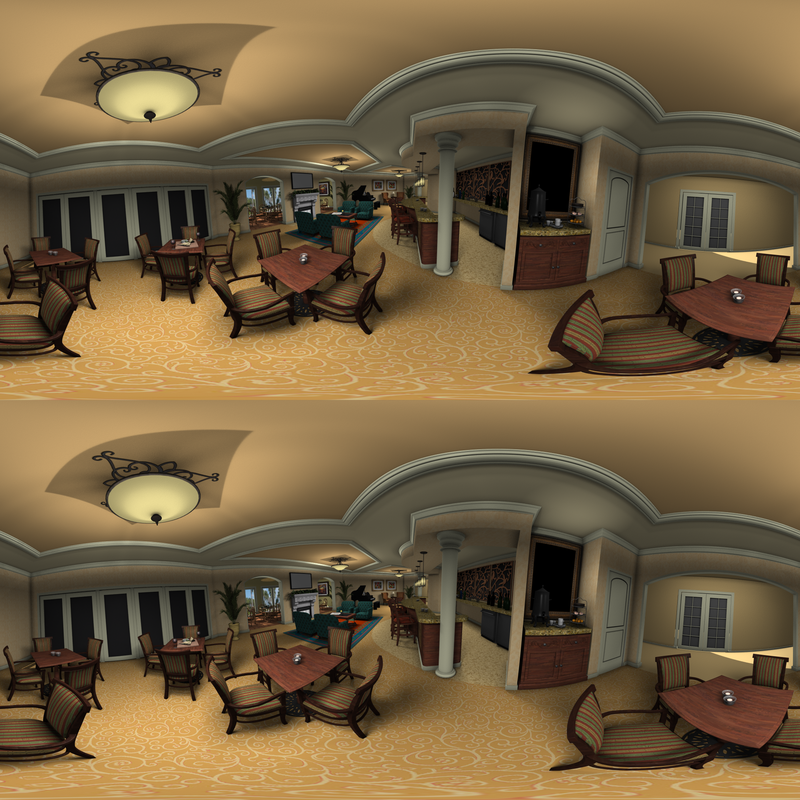 We encourage you to download the updated image (the cafe scene) below which was rendered using the January 22nd, 2016 build of UberCam 2.1’s Immersive Stereoscopic Camera and check it out on your favorite VR device. This new camera produces stereoscopic 360 VR renders which are impossible with any other camera in existence for LightWave3D. Not only that, but UberCam 2.1 introduces a new proprietary ray tracing algorithm that has been specifically optimized to reduce distortion at the poles (top and bottom) of the render results yet maximizing stereoscopic effect. 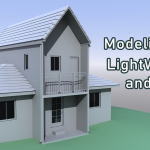 This is something that you won’t find in other competing camera or shader technology at triple the price (or more) for any other 3D package using any other rendering engine. 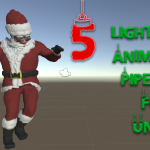 With all of these features, UberCam 2.6 represents a complete, end to end solution for creating amazing virtual reality content with LightWave3D. For a full list of cameras, features and a look into our manual, download the PDF here. 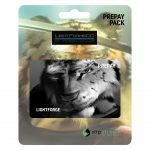 Enter in your Product Lock ID: Number(s) for LightwWave below and click add to cart! Even bigger discounts are available for studios and educational institutions purchasing in volume. Please contact us for more details!